In October Nissan announced that during the current mid-term plan, one third of its Australian volume will include electric technology. Led by the launch of new Nissan LEAF – which heralds a new era of electrification for the company – Nissan is preparing for the expected spike in electrification and electric vehicle interest and sales. At an electrification thought leadership event in Sydney, Nissan spoke about the new Nissan LEAF and made this important future-orientated announcement. Further to this, Nissan announced that the deliveries of the new generation Nissan LEAF will begin in mid-2019, and that the Australian-spec model will feature e-Pedal, Apple CarPlayTM and Android AutoTM. The new LEAF will also provide an expected real world driving range of up to 270 kilometres per charge (WLTP combined cycle#) thanks, in part, to the larger 40kWh battery. These new features, plus an increase in power and torque, its stylish new design and bi-direction charging capabilities, are some of the key drivers in attracting repeat LEAF buyers and potential new customers to Nissan’s award-winning electric vehicle (EV). “The new Nissan LEAF has the ability to transform the way we drive and live,” said Lester. 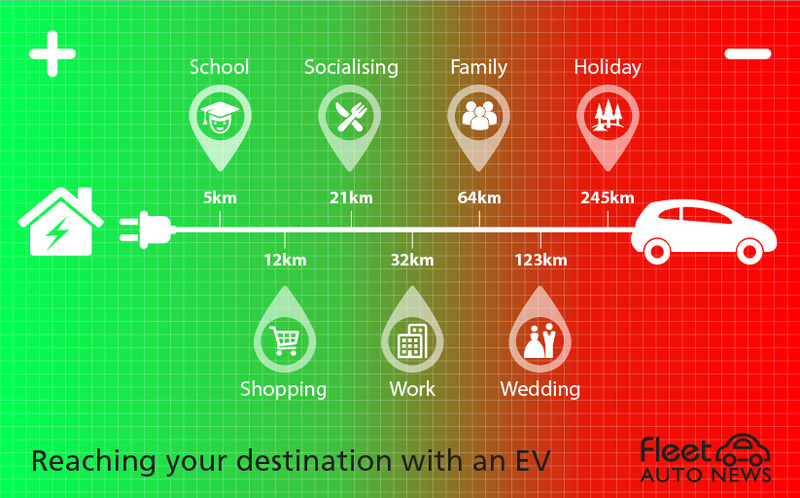 With range anxiety a major consideration for EV buyers in Australia, internal global research shows that current owners approach the re-charging of their vehicle’s battery in the same way as their mobile phone. “Charging is a simple act and many EV owners tend to charge their vehicle like they charge their mobile phones in preparation for the next day, by doing it overnight,” said Lester. With its fun to drive performance, dynamic new design and a range of Nissan Intelligent Mobility active safety technologies, as well as e-Pedal, the new Nissan LEAF is sure to impress. e-Pedal allows drivers to start, accelerate, decelerate, stop and hold the car by using the accelerator pedal alone – without needing to use the brakes. It also features the Auto Hold function, maintaining the car’s position until acceleration is required. This will enable new Nissan LEAF owners to drive without using the brake pedal for up to 90 per cent of the time. Nissan is committed to making transportation safer, smarter and more enjoyable, and it is Nissan Intelligent Mobility that will help to achieve this. Nissan Intelligent Mobility encompasses three core areas of innovation: how our cars are powered (Nissan Intelligent Power), how they are driven (Nissan Intelligent Driving) and how they are integrated into society (Nissan Intelligent Integration). These new technologies are supported by a variety of Nissan Intelligent Mobility active safety equipment such as a 360 degree Intelligent Around-View Monitor with Moving Object Detection, Intelligent Cruise Control, Intelligent Emergency Braking – with Pedestrian Protection, Intelligent Cruise and Trace Control and Intelligent Lane Intervention. New LEAF also features Predictive Forward Collision Warning, Rear Cross Traffic Alert, push-button start, High Beam Assist, Satellite Navigation, ISOFIX anchor points and front and rear parking sensors. Combining these with its contemporary exterior and interior design, an 8-inch touchscreen display, 7-inch Advanced Drive Assist Display, heated steering wheel, leather accented seats and ample space for five, the new LEAF offers a safe, comfortable, quiet drive that will be enjoyed by everyone. 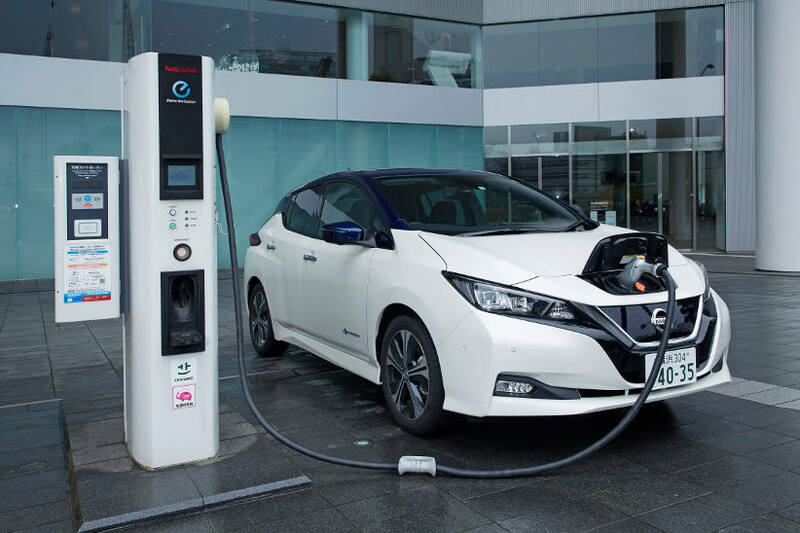 Sold at 89 Nissan Dealerships across the country – up from 12 when the LEAF was introduced in 2012 – Nissan will have the largest EV sales network in Australia, supported by EV installation experts JET Charge. JET Charge is Nissan’s preferred charger installer at Nissan Dealerships, and for customers is able to fit out homes with charging equipment nationally. “With more and more choice available, Australians are embracing electric vehicles, sales are going to grow, and Nissan is prepared for this growth,” said Lester. “This means that the Dealership has the expertise and infrastructure in place to charge and service a LEAF, is stocked with spare parts and accessories, and they have trained sales staff and service technicians. “We also have the relationship with JET Charge who will support LEAF owners with charging infrastructure at their homes. The new Nissan LEAF has an improved 110kW or power – up 38 per cent versus the outgoing model – and 320Nm or torque, an increase of 14 per cent over the first generation, adding a degree of exhilaration for the driver thanks to the instant acceleration. Nissan LEAF, the world’s most popular electric vehicle, has 360,000 global sales.